Reinventing Voice Over - Here We Go Again! For a direct link to future videos, you can sign up here to receive email alerts to all new VoiceOverXtra news and how-to articles. 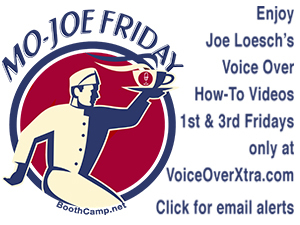 VoiceOverXtra also presents Joe's popular Voice Over Booth Camp workshops to voice talents around the U.S., coming next to St. Louis on September 16. 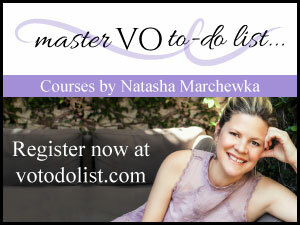 A day at VO Booth Camp is strategic voice over training - the ideal way to start or refresh a VO career. Booth Camp Jackson, MS, November 4. Details soon. I'm with Joe on this one. Lots of quacking about this transaction. But it's all speculation on what MIGHT happen. Frustration, bitterness and resentment all affect your own personal and professional mental and physical health...and not in a good way. Life is too short. Relax. Things will work out one way or the other.